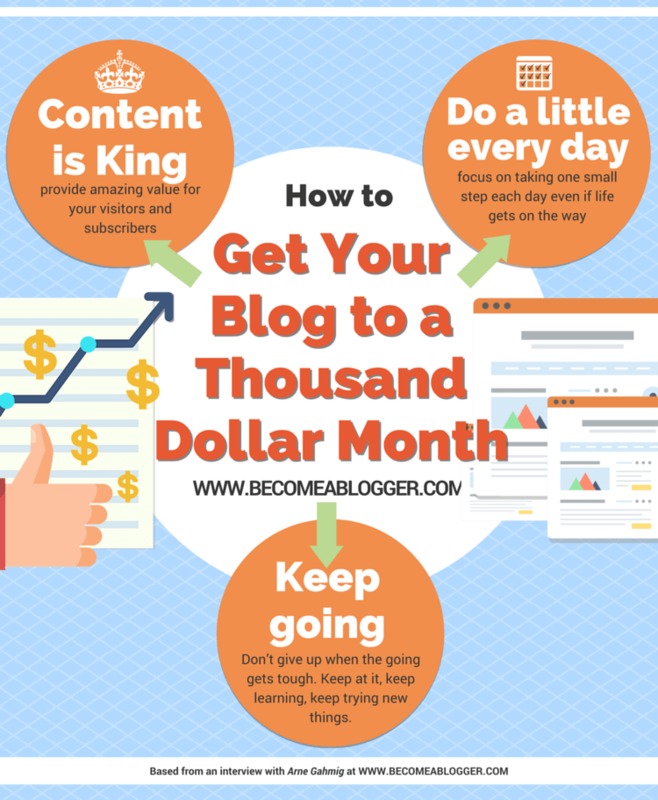 Are you ready to take the revenue from your blog to the next level? Do you feel like you haven’t got enough time to devote to your blog? 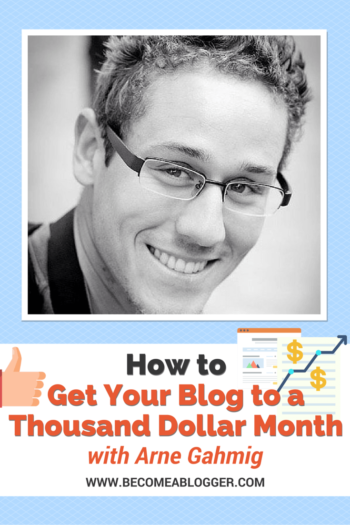 Arne Gahmig is here to share his journey from $8.70 in ad revenue to his first thousand dollar month. The amazing part? He only spends 30 minutes per day blogging. In this episode, he’ll share his secrets for sticking with your blog and taking things to the next level. Arne’s blog is howtowindsurf101.com, and it’s a side project that he’s been working on since 2014. He’s been a windsurf instructor on and off since 2004, and he’s obviously passionate about helping people learn the sport. He just had his first thousand dollar month! His blog wasn’t an overnight success story, and it definitely hasn’t been easy. In this episode, we’re going to talk about the steps he took to reach this point. His story is really inspiring for anyone who’s just starting out, or even someone who’s starting to get some traction. I asked Arne what products he sold in order to reach his first thousand dollar month. He told me about the re-launch of his video course, which he put out in June to mark the third anniversary of his blog. He made the first version of the video course a couple years ago, but he’s been redeveloping it for the past few months. He re-launched it to his email subscribers at $97, with a goal of ten sales. His tenth sale came in right under the wire, but he achieved his goal! This is a fantastic result, especially because Arne’s email list isn’t huge right now–he’s got about 750 subscribers. So let’s take a look at Arne’s journey to his thousand dollar month. 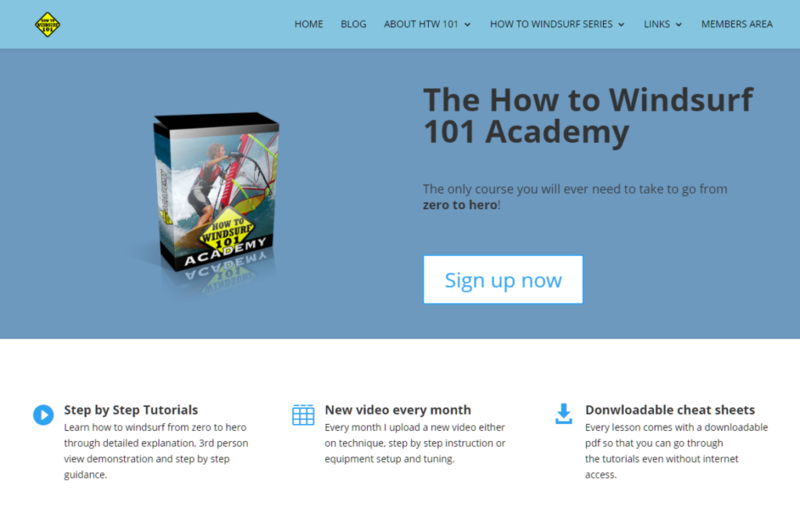 Howtowindsurf101.com started in June 2013, but Arne’s journey with internet marketing started a little bit earlier than that. Back in 2011, he was a sales rep in the UK, and he started looking into social media and blogging as ways to increase his customer base. That’s when he discovered Yaro Starak and Adam Short, and he signed up for the Niche Profit Classroom course. They made it easy to get started by worrying about all the SEOs and Google algorithm stuff for you, and within a few months, Arne had his first income from the internet. And then, Google hit him with panda or penguin or one of those animals it likes to throw at you. It changed the algorithm, and his site was no longer a top hit. But by then, Arne had the motivation to keep going, and he fully committed to making his site work. However, because he wasn’t passionate about the topic, it never really took off. He was still interested in blogging, though, and he kept working on smaller side projects to improve his skills. Then one day, while working at his parents’ windsurfing school in Tenerife, he met someone who worked in internet marketing. The man suggested that he start a blog about windsurfing. It was something Arne had thought about before, and his experience up to this point told him he needed a strategy. He knew the topic was too niche to really make any money from ad revenue, so he started thinking about other products he could offer. A video course was on his mind from the beginning. 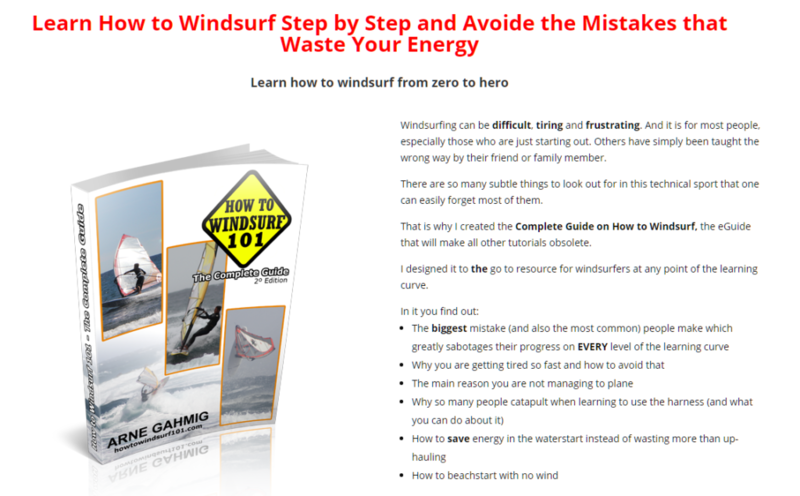 Unlike his first blog, he was able to create the content for howtowindsurf101.com pretty easily, because he knew the topic really well and didn’t need to do any research. He said that his first version of the site was “terrible looking,” and he initially had just 5-10 visitors per day. But he kept at it. When he initially launched the site, Arne didn’t include an opt-in form right away. Instead, he focused on building up great content. He also put together a free email course for his subscribers. 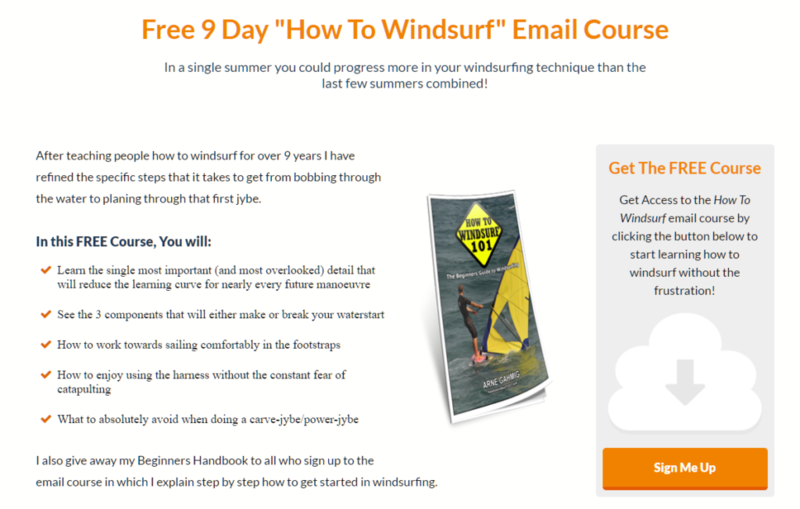 It was 9-email sequence to give his subscribers the basic steps to begin windsurfing. After the email course was ready to go, he added his opt-in form. That way, his subscribers were getting great value as soon as they signed up. Once he had things up and running, Arne started leveraging his offline relationships to help his online business. For example, his dad’s windsurfing site has always done really well on Google because he does a daily update about the wind conditions and the forecast for the week. Arne’s dad linked back to howtowindsurf101.com, which helped boost traffic. Arne also took advantage of someone he met through teaching at the windsurf school who had an authority site. After a couple months, he was seeing 20, 30, 40, even 50 visitors a day on the blog. Shortly after that, a popular Facebook page shared one of Arne’s articles from his blog. This caused a HUGE spike in his traffic: 12,000 visitors in 2 days! After that it dropped back down, but the numbers stabilized at around 100 visitors per day, or double what he had been seeing before. He started to get more subscribers signing up, too. At this point, Arne had accumulated enough material for an ebook, which he launched to his email list in June 2014. At the time, he had about 100 people subscribing. Now this is really cool: his ebook is composed of the same content as his blog, but in a format that is easier to access. Everything is in one place, and you don’t need wifi or 3G to read it, so it’s very convenient for people. He priced the ebook at $19.97. After the first launch, he sold 11 copies. That’s a fantastic conversion rate on an email list of 100 people. I’d be thrilled if 11% of my email list was making purchases! 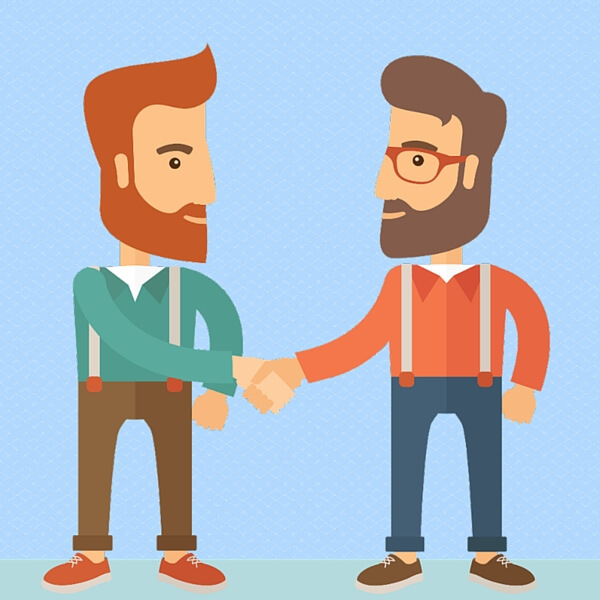 What helped Arne achieve this success was his engagement with the email list. He invited questions and responses at the end of his autoresponder emails, for example. He also provided great content with his 9-day email course, and he asked his subscribers for feedback on their experience. He wanted to know how he could improve, and he made changes to the course based on his subscriber’s suggestions. This is a fantastic way to connect with your audience, especially when you’re just getting started. Later that summer, he set up the ebook to run on “autopilot,” and made a few more sales that way. Then, in late 2014, he started getting coaching from me! Why? Because it’s so important to have a mentor and to have someone who’s made all the mistakes before you. During my time coaching Arne, he had a very specific goal: he wanted to be earning $500 per month, and he wanted to be getting 50 new subscribers every month. This was the point at which Arne started seriously working on his video course. He had some footage of his then-fiancée (now his wife!) learning to windsurf, so he used that as the basis for the course. He filmed her on a GoPro because of the beach environment, and he recorded the audio using his iPhone and headphones with a built-in microphone. He did the editing in iMovie. It just goes to show that you don’t need really fancy equipment to get the job done! He started with 5 videos in order to validate the idea, to see if there was enough interest to justify creating a full-length course. Each video was about 6 minutes long, and he charged an early-bird subscriber rate of $25. At the time, he had 200-250 subscribers. The 5-video course launched in December 2014, and by January, Arne had added more videos. He increased the price to $47 at that point. The first 5 were the basics of windsurfing: everything you’d need to know to go out and give it a try on your own. The videos he added in January were more advanced topics, like what to do in high wind. After that, he offered an upsell option that he called the “Power Pack.” It included the video series plus his ebook, and was priced at $57 (as opposed to the full price of $66.97). This was a really popular option, and Arne found that people either bought the ebook alone or they bought the Power Pack. Very few people purchased the videos without the ebook. Then life got in the way for about a year. But one day, someone emailed to ask for a refund on the video course. They had been expecting higher quality videos and audio, and the course didn’t live up to that standard. Arne saw this as an opportunity to update his video course, which was exactly what he’d been wanting to do for a while. So he re-shot the demonstration videos with his wife (still using a GoPro), and made higher-quality audio using his laptop indoors instead of a phone outside with wind in the background. He also updated his ebook with all of new content he’d created since it launched. All of these upgrades justified a higher price. The video course is now an annual subscription service, and subscribers pay $97 per year to get the ebook plus a new video every month. Arne also produces a digital magazine that’s all about teaching people how to windsurf. Having sold ten of these subscriptions in June 2016, he’s just had his first thousand dollar month! So what are the key things you can learn from Arne’s story? 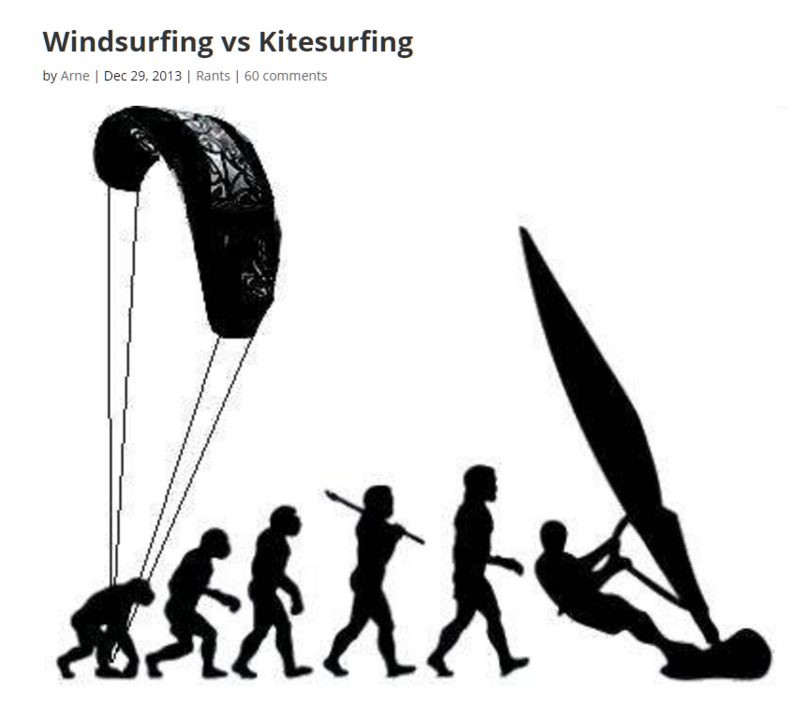 The article that got Arne his fifteen minutes of fame on Facebook was called Windsurfing vs. Kitesurfing. Apparently there’s a rivalry between the two sports, so the title really drew people in. But because Arne is both a windsurfer and a kitesurfer, his article also offered a unique perspective and was more balanced than most other articles out there. He thinks that this is why the post was so successful. It’s SO important that you provide amazing value for your visitors and subscribers, and Arne’s able to do exactly that because he has detailed knowledge of his topic, and he’s passionate about it. Even when you love what you do, life gets in the way. Arne’s got a wife and new baby, after all! So he doesn’t spend huge amounts of time working on the blog every day. Usually, it’s 30 minutes a day. He’s also in the habit of writing for 10 minutes every day. It doesn’t sound like a lot, but it really does add up! Thirty minutes every day is 3.5 hours a week. You can absolutely do what you’re passionate about even if you’re strapped for time. Just focus on taking one small step each day. The thousand dollar month was 5 years in the making for Arne. Don’t give up when the going gets tough. Keep at it, keep learning, keep trying new things, and eventually you will see those results. The Be-Patient line is hard to hear when you been at it and it still looks bleak. But success stories like these give assurance that it works. There is something am not doing right but at least I know that it works. This is really inspiring for those who want to make money online blogging. The mistake that some bloggers make is to depend solely on Google Adsense. I have come to realize that offering courses online is the best way of monetizing a blog. Congrats to you Arne, I found your story inspiring. Most people start completely online (myself included) and often overlook the power of the offline world. In this case your leveraged your offline business and brought it online to reach a larger audience. Doing something each day that brings us closer to our goals should be a must for anyone whether running an online business or not. It’s easy to forget that this needs time and effort over a longer period of time. Like you said, the $1000 month was 5 years in the making for Arne in which time he had to do a little every single day hoping it would get better.